Nominated for a Polaris Award. Performing Sept 3 2017 in Toronto! 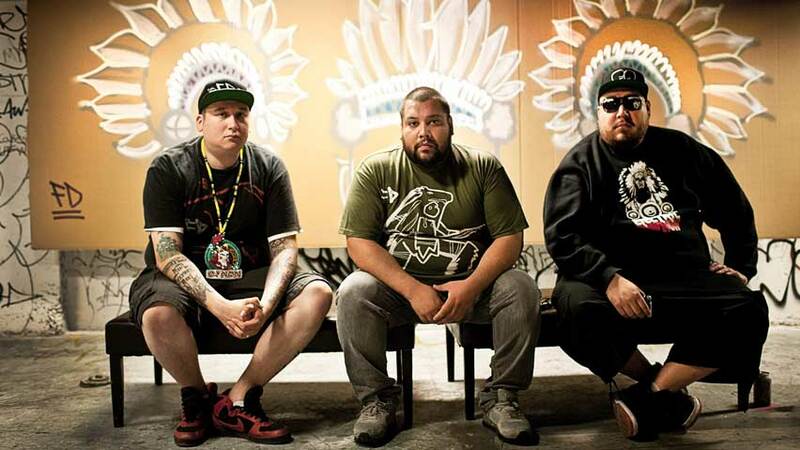 In 2008, DJ’s NDN and Bear Witness founded A Tribe Called Red. In 2010, they added two-time Canadian DMC champ, DJ Shub to the crew. Electric Pow Wow is a monthly club night dedicated to showcasing Aboriginal DJ talent and Native urban culture and is aimed at creating a space for Aboriginal people. ATCR creates an eclectic sound made up of a wide variety of musical styles ranging from Hip-Hop, Dance Hall, Electronic, and their own mash-up of club and Pow Wow music, known as Pow Wow Step. You can catch Electric Pow Wow every month on the second Saturday at Babylon nightclub in Ottawa, Canada.